LONDON -- Medical abortions done at home with online help and pills sent in the mail appear to be just as safe as those done at a clinic, according to a new study. The research tracked the outcomes of 1,000 women in Ireland and Northern Ireland, who used a website run by a group called Women on Web to get abortion pills. The Netherlands-based nonprofit provides advice and pills to women seeking an early abortion in more than 140 countries where access to abortion is restricted. Ireland and Northern Ireland have some of the world's strictest laws, often only granting approval when a woman's life is at risk. To use the service, women complete an online form, which is reviewed by a doctor. 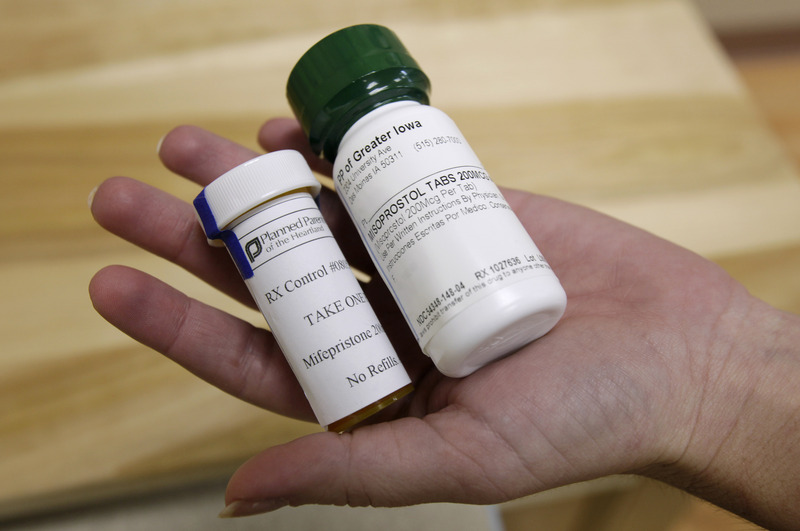 They are sent two drugs in the mail -- mifepristone and misoprostol -- and given instructions on how to take the pills, which have been used since 1988 to induce early abortions. They are later asked to fill out an evaluation form. About 95 percent of the women in the study reported successfully ending their pregnancy; nearly all were less than nine weeks pregnant at the time of the online consultation. The researchers said less than 10 percent reported symptoms of a potentially serious complication like very heavy bleeding, fever or persistent pain, comparable to the rates for women who seek medical abortions at clinics where abortion is legal. Seven women needed a blood transfusion and 26 received antibiotics. No deaths were reported. Follow-up information was missing for about one-third of the 1,636 women who were sent pills over three years, so some complications may have been missed. The new study comes on the heels of the controversial launch of another initiative spearheaded by international advocacy group Women Help Women to offer online counseling to women in the United States using abortion pills outside of a medical setting. The project is in response to increasingly restrictive laws on abortion in many states, including Texas, Florida, Utah, and fears of a further crackdown under the Trump administration, the group said. For the new research published online Tuesday in the British journal, The BMJ, Women on Web provided the data and the patient feedback for the study. Two of the authors are affiliated with the group. In the past decade, the group has helped about 50,000 women have a medical abortion at home. "We now have evidence that self-sourced medical abortion that's entirely outside the formal health care system can be safe and effective," said Dr. Abigail Aiken, an assistant professor at the University of Texas at Austin who led the study. "Women are very capable of managing their own abortions and they're able to determine themselves when they need to seek medical attention." Other experts agreed the study shows how women might be able to safely sidestep restrictive abortion laws. "This undermines the efficacy of these laws and leaves them unenforceable," said Bernard Dickens, a professor emeritus of health law and policy at the University of Toronto, who co-wrote an accompanying commentary. He cited a number of legal loopholes that would make it difficult to prosecute people helping women have an abortion at home. Aiken said the website does not operate in the U.S. but that a telemedicine study of the abortion pill is underway. Katherine D. Pocius, M.D., MPH, the medical director of family planning at Massachusetts General Hospital, says that medication-induced abortion is "incredibly safe." However, she raised some concerns, particularly when it comes to purchasing the pills on the Internet. "Any time you're obtaining something illegally, there's really no way to know what you're really getting," she told CBS News. According to the U.S. Food and Drug Administration, mifepristone and misoprostol can be used to safely end a pregnancy through 70 days gestation, or 70 days or less since the first day of a woman's last menstrual period. In some instances, the medication can lead to very heavy vaginal bleeding that will need to be stopped by a surgical procedure. The FDA has received several reports of serious adverse effects in women who took Mifeprex (mifepristone), including one case of ectopic pregnancy resulting in death, and several cases of sepsis, including some that were fatal. However, the agency says it is unknown at this time whether the use of Mifeprex and misoprostol actually caused any of these complications. Linda Kavanath, a spokeswoman for the Abortion Rights Campaign in Ireland, said with the findings of the new research, women should be reassured about the safety of doing a medical abortion on their own, adding that the threat of a 14-year jail sentence in Ireland has had a chilling effect. "These services will exist until the legislation is changed to grant women access to abortion," she said. "Women will always find a way to have abortions and we're just fortunate that these safe methods now exist."